Mile High Club roller derby team! 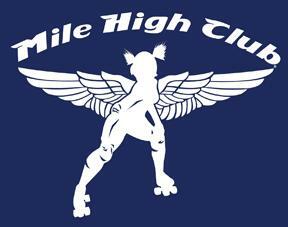 I love that there’s a Denver roller derby team called The Mile High Club! Due to open later this year with 301 guest rooms and suites, the Traders (under the Shangri-La umbrella of hotels) is a small step down from the over-the-top opulence and high pricing of the Shangri-La, but it will nonetheless have access to all of the complex’s amenities. To reach any of the Qaryat Al Beri attractions, which include an Arabic souk, numerous swimming pools, CHI Spa at Shangri-La and Chinese, Vietnamese and French restaurants, you’ll have to hop into either a club car or a short abra (Arabic gondola) for a ride on the waterway. 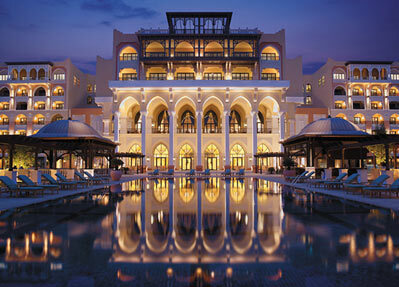 Reminds you of Vegas’ Venetian Hotel, doesn’t it? So long as they don’t force the gondoliers to sing and take our picture for tips, then we’re totally cool with gondolas appearing outside of Venice and Vegas, especially if they’re to be used as actual transportation. Love really is in the air for Hollywood starlet Lindsay Lohan and her girlfriend Samantha Ronson. So much so that any hopes we had of some much-needed kip on the plane back to London, after a week of hard partying at the Oscars, were rudely shattered by the randy pair. On our Virgin Atlantic flight from Los Angeles to London, we were just a few seats away from the loved-up couple – and we didn’t know where to look as they kissed, cuddled and giggled their way through most of the 10-hour flight. At one point we even caught 22-year-old LiLo texting sweet nothings to DJ Sam on her in-flight entertainment handset – despite sitting eight inches away from her. We weren’t the only passengers to witness their amorous antics. An elderly couple celebrating their 44th wedding anniversary were stunned when Lindsay gave 30-year-old Sam a passionate kiss. The pair went to the minuscule cabin loo to change into matching black sleep suits before settling down into their seats. Sam sipped on a Baileys and milk and started to watch Second World War tearjerker The Boy In The Striped Pyjamas, while Linds grabbed her games console, logged on to the phone service and began texting. Sam looked less than thrilled to get a text right in the middle of a poignant scene. But she soon cheered up after reading “I love you” from LiLo. Then the pair held hands above their headrests and declared their undying love, like a couple of teenagers.